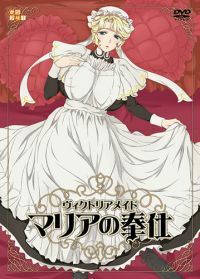 Victorian Maid Maria no Houshi 5 out of 5 based on 5 ratings. 5 user reviews. OVA produced by the manga publisher Toranoana. Maria is a high class Victorian Maid. She works incredibly hard to satisfy her master's every whim, whether in his study, the bath, or bedroom. Shy and sultry all at once, can you resist her allure and willingness to serve?